Today, I got asked, if I ever made resolutions and my response was no, I don’t. I create plans, set measures of success, and execute on that plan. For 2013, I have a series of goals that I’d like to achieve with Olive and Ruby, and I’m starting now so that at the end of this year, I can see how much I’ve achieved. I'm starting class on Saturday, and this time I'm gonna be baking. If you live in my area be prepared I'm going to need to get rid of A LOT of products. Let me know if you want me to send some your way. I've been trying to do a meatless Monday for a while. 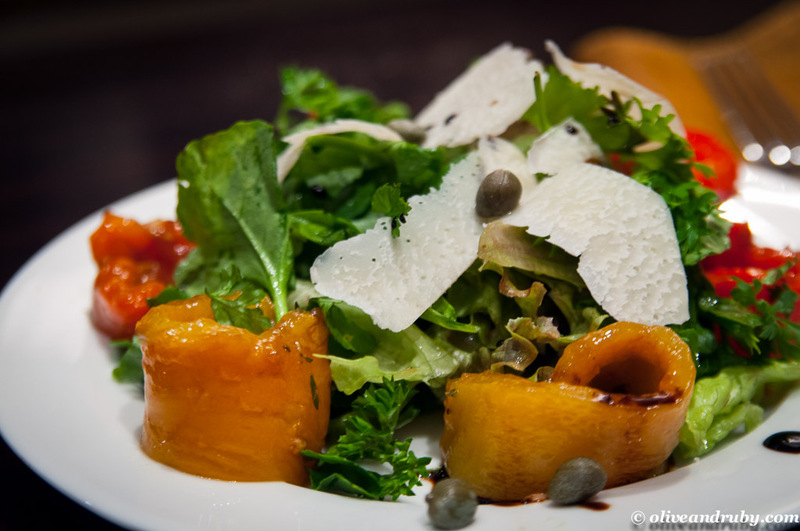 Last week I did a salad plate with some roasted beets, parsnips and carrots. 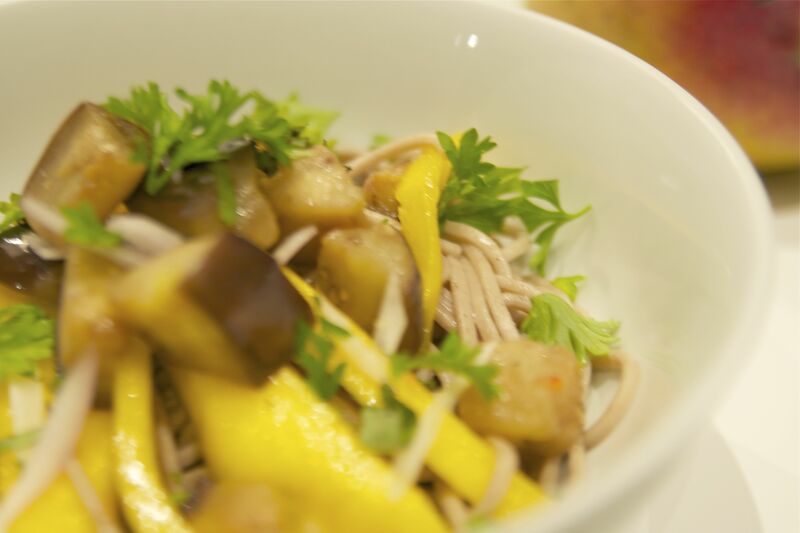 This week I've made a dish of cold soba noodles with eggplant and mango. It's really a summer dish, but it looked so good I gave it a try. It's just what was required to rebalance our system after the holidays. After 2 weeks of excessive eating over the holidays, we need to take a break so I've been making lots of salads and grilled meats to counteract all of the rich foods we've been eating. Over the next couple of weeks, I'll be blogging about what I prepare in class each week. I'm gong to try to make these posts a little more picture intensive, and from time to time I'll post the recipes. Since this is the first week of the basic program we didn't do any baking. This recipe and photos is courtesy of my dear friend, avid photographer and budding food stylist Laura L. I never met an apple tart I didn't love AND then you add rum. This is a no-fail hit! Thanks Laur for contributing to the blog.